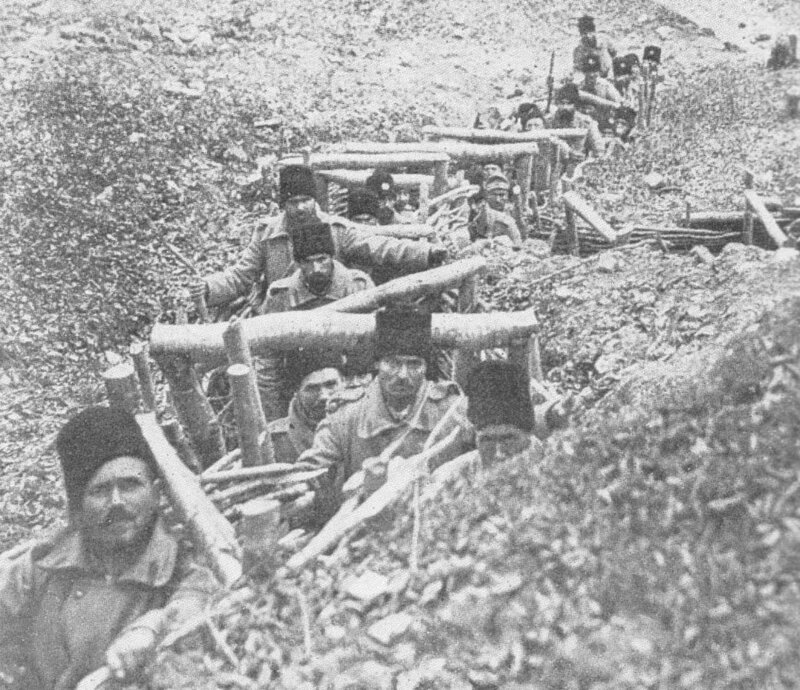 Romanian infantry in their trenches. Rumania – Battle of river Cricov (until December 12) as Rumanians retreat northeast on Rimnicu Sarat. Germans claim 70,000 PoWs, 184 guns, 115 MGs between December 1 and 9 and advance 20 miles east of Ploesti by December 11. Hungarian 51st Honved Division occupies Sinaia south of Predeal Pass. Greece: Allies blockade of the country. Their citizens leave Athens but Ambassadors see King on December 9.